Marguerite-aville: Canada: Home of the kinda-sorta not-quite illegal-ish marijuana! Canada: Home of the kinda-sorta not-quite illegal-ish marijuana! Another cultural difference between Canada and the U.S.? You can smoke pot in certain designated public places, such as Vancouver’s New Amsterdam Cafe. Unlike in Old Amsterdam, however, you can’t actually purchase any pot at this cafe. For me, this seems to defeat the purpose of going to a dining establishment that smells a like a men’s quad dorm room at Humboldt State University. To stay in the spirit of things, Paul and I purchased a non-intoxicating soda called BC Bud (you know, ‘cause they're in BC, and the drink has de-funned hemp in it?). The stuff tasted like flat version of one of those store-brand soda knock-offs with names like Dr. Puffer or Mountain Doop. It was an odd, citrus-y drink with delicate notes of bongwater on the finish (yum!). Noticing our BC Hemp cola product, the collegiate pot-smokers looked at us with a combination of pity, suspicion and disgust. Personally, I didn’t feel very cheated by the no-pot pot café. I’m not much of a pot smoker (on me, it has roughly the same effect as NyQuil), but I’m all for it being legal, taxed and regulated. It seems that the vast majority of Canadians would agree, but the law never could find support in Parliament the American DEA, which, like Taco Bell, seems to have extensively franchised into Canada. The two cannabis decriminalization bills died in Parliament, reportedly because the U.S. DEA threatened retaliatory measures, such as closing the U.S.-Canada borders to better control drug trafficking. After all, if weed from British Columbia infiltrated the U.S., it could lead to an epidemic of increased politeness! Stoned viewings of Rick Moranis and Martin Short movies! Saying “eh?” after virtually any and every statement! 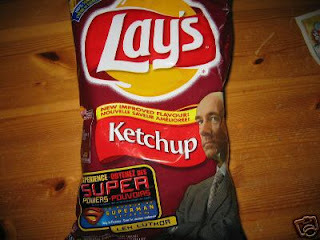 Worst of all, Canadian pot could act as a gateway to other, more serious addictions, such as crystal meth, heroin, or ketchup-flavored potato chips. Society, surely, would collapse. On the other hand, if Queen Elizabeth II – the sovereign monarch of Canada – had threatened retaliatory measures on a bill, everyone in Parliament would’ve rolled around on the floor laughing. Possibly because they were stoned. The role of the Governor General, although extensive, seems to be largely ceremonial. His or her duties are roughly a cross between those of the U.S. Vice President and Wheel of Fortune’s Vanna White. Theoretically, the Queen could direct the Governor General to overturn any and every law passed by the Canadian Parliament. As a practical matter, this never, ever happens. Nobody even knows what would happen if it did. Unlike Her Majesty, the American DEA seems to have functioning veto power over the Canadian Parliament. In both 2002 and 2004, legislation that would de-criminalize marijuana came before the Canadian parliament. In 2002, the bill died when the Parliament prorogued (i.e., the clock ran out), although it seemed likely that it would have passed had it come to a vote. For the later vote, the DEA had already thrown its fit, which put the kibosh on the bill. The whole arrangement seems massively unfair. After all, we get to sell the Canadians whatever-the-hell is in the (88% high quality!) Seasoned Beef at Taco Bell. Not to mention KFC Double Downs, and plastic toilets full of dyed sugar. By comparison, doesn’t a bit of pot seem like a bunch of Rainbow Chard from your local farmer’s market? I'm all for the creation of some sort of Fashion INTERPOL that would seek to eradicate the heartbreak of amorphous, pot-related apparel. Kids, please. For the love of Karl Lagerfield. Just say no. New & Improved *Ultra Concentrated* Blog!